↑ Valde-Nowak et al. (1987). 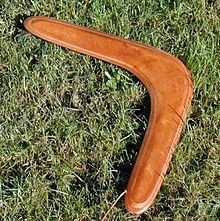 Upper Palaeolithic boomerang made of a mammoth tusk in south Poland. Nature 329, 436 - 438 (01 October 1987); doi:10.1038/329436a0.